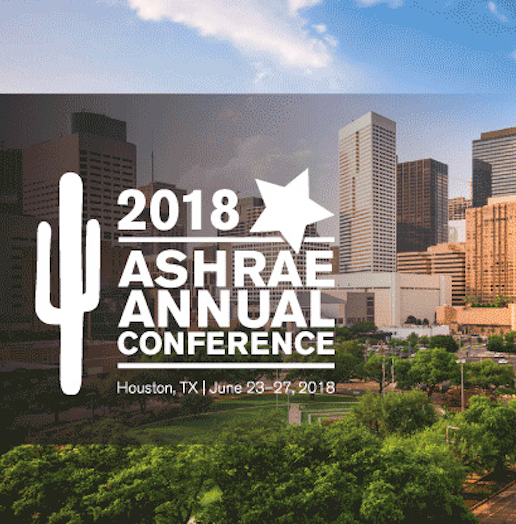 CPP’s John Carter and Brad Cochran will attend the 2018 ASHRAE Annual Conference in Houston, June 23-27. The Technical Program along with committee meetings, registration, bookstore, and speakers’ lounge will be held at the Hilton Americas hotel and the George R. Brown Convention Center. At the conference, learn what’s new and meet key industry leaders involved with defining future ASHRAE standards and guidelines. The program is comprised of eight tracks, and one mini-track selected to represent areas of focus common among ASHRAE membership. These focus areas include professional development, research, fundamentals and applications, systems and equipment, system management (controls) and more specific design areas such as residential buildings and co-generation plants. The conference provides numerous networking opportunities, during which we encourage attendees to chat with CPP’s John Carter and Brad Cochran. Learn more about the 2018 ASHRAE Annual Conference here.